BioWare’s poor development practices and treatment of staff is exposed in a recent report from Kotaku. The report is based on interviews with 19 developers who work or worked on the game at some point. Instead of trying to make changes to its internal development culture, BioWare has now asked its employees to stop all media interactions. Anthem’s development studio is not ready to take any respirability for the poor treatment of its staff. BioWare did release a public statement about the article published by Jason Schreier. Anthem’s developer added fuel to the fire by releasing a heartless PR statement to address the controversy. The statement is a slap on the face of those hoping for a change within the company. Kotaku’s report exposed Anthem’s troubled development phase, issues between staff, incompetent leadership, and cruel crunch time culture. In the eyes of BioWare and EA, the best course of action is to ban staff from speaking to the media. According to reporter Jason Schreier, an internal email was sent to BioWare staff. Anthem’s failure should have been enough to open BioWare’s eyes. Anthem sales during the first week were half of what Mass Effect Andromeda did. To put things in perspective, Anthem sales were only 25% of Destiny 2’s first week sales which also means it only managed to sell a quarter of Mass Effect 3. Anthem sales number come from retail without keeping into account the digital sales numbers. With the rise of digital sales around the world, retail sales will naturally go down so Anthem’s sales performance numbers should be taken with a grain of salt. That doesn’t change the fact that players aren’t happy with the game and many have moved on to The Division 2, a far superior and feature complete product. The Division 2 became the best selling game for Q1 2019. Meanwhile, although is indeed the worst company in America right now, we can not blame EA for how Anthem went wrong. EA game BioWare 7-years to develop Anthem but the leadership at BioWare failed due to indecision and lack of vision. You may call EA the worst company in America but in this case, EA actually improved Anthem to some extent. 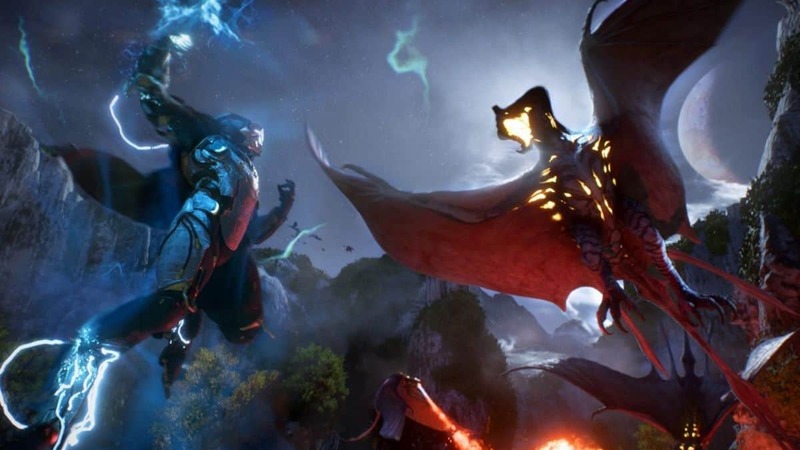 Former CEO Patrick Soderlund forced BioWare to add flying mechanics to Anthem. And we now know, flying is the only fun activity in Anthem’s otherwise abysmal gameplay design. EA had very little to do with Anthem’s development. At this point, all one can hope for is EA at least forcing changes to BioWare’s stressful and broken development culture. EA has an opportunity to come forward with a positive response and actually help itself with its “worst company in America” image.